Welcome a New Season with a Sale! 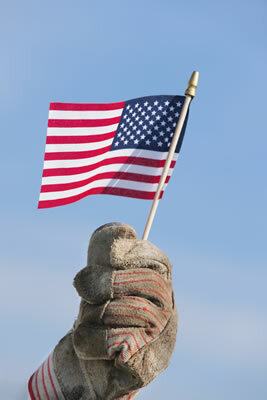 We at Conversational Threads would like to wish you a Great Labor Day Weekend! The shop will be closed Monday, September 5th, so all of our associates can spend the Labor Day holiday with their families. I find the Labor Day holiday to be a bittersweet one as Spring and Summer are my favorite seasons, although this Summer with its excessive heat did become a bit tiresome. Mostly it's the losing of the light and the shorter day length that I will mourn. That's not to say, however, that I don't look forward to the joys of Fall - the cooler weather, the crisp apples, the beauty of the trees - and of course the knitting and crocheting! There's lots to discuss this month - Let's get on with it! Back To School Sale Yarn Sale! 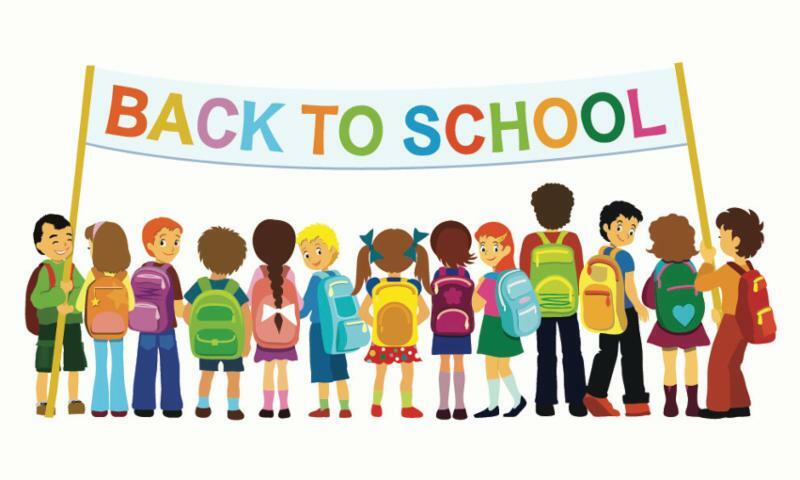 The kids are headed back to school, it's time to get back to your knitting and crocheting (the holidays are coming faster than you think! ), and to make room for all of the fabulous new Fall yarn arriving daily I have been reorganizing the shop and moving TONS of lovely yarn to our Sale Area, making it overflow. 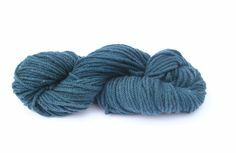 Rowan Yarns, Schulana, Cascade Yarns, lots and lots of hand-dyes - just to name a few! Only you can rectify my overflow problem! Take an extra 15% off the already low prices of everything in our Sale Area for Four Days Only - Thursday through Sunday, September 8th - 11th! Don't miss out on these bargains! All Sales Final on Sale Yarns. It's Back! - One of Our Most Popular Events! Paint Your Own Yarn Bowl! 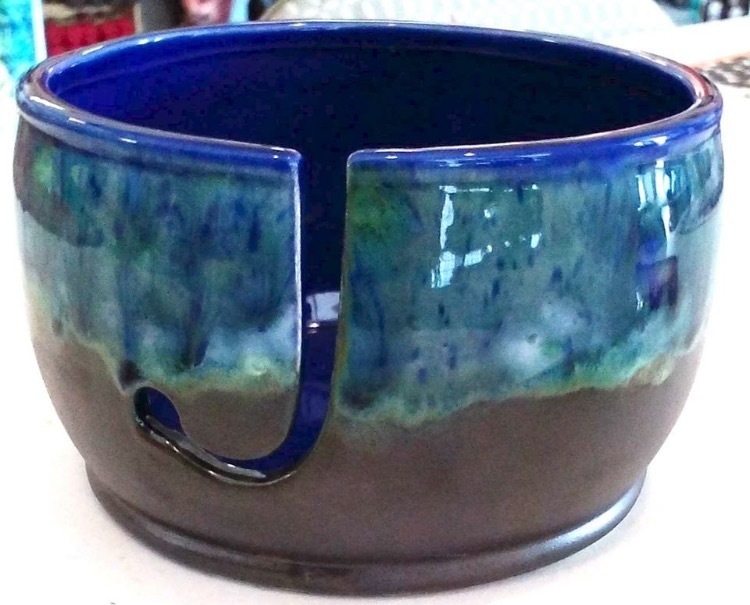 Paint your own designs on a beautiful ceramic yarn bowl, then have it glazed and fired and returned to you finished. This event has sold out quickly every time we have run it, and now is the chance for everyone who asked for a Saturday afternoon session. $35, includes all supplies and glazing and firing. Space is limited! Call the shop (610-421-8889) to sign up, stop by and pay for your seat to guarantee your spot! The Bus to the New York Sheep and Wool Festival is Full! If you have a seat booked for which you have not yet paid, it would be best to do so as soon as possible as there is a waiting list started. We realize it still feels rather early to be thinking about the festival, but actually now it is next month, and unpaid reservations soon will be getting a call to be certain you still intend to go on the trip. New Yarn is In The House! Cestari Sheep and Wool Company is a small family-owned and operated American manufacturer of knitting and crocheting yarn. The Cestari farm is located in Augusta County, Virginia where the sheep are raised for wool that is used in the yarn. The sheep are a Targhee/Columbia breed developed on Cestari farms to produce a luxurious traditional wool... Cestari also sources Merino wool from reputable ranchers throughout the United States. Cestari is committed to paying fair market value for premium Merino wool to help ensure the future of American sheep farming and wool production. It is the hope of the Cestari team that those in the fiber community helps us by patronizing companies that support American sheep farmers. Cestari wool is washed using a scouring process that keeps natural lanolin in the yarn and maintains the natural bounce and texture of the wool. The scouring process is preferred to the more contemporary carbonizing process because a carbonizing acid bath, done overseas, would burn out the vegetable matter, leaving the wool very clean but removing the lanolin and leaving the wool with less bounce and changing the original texture. Sometimes specks of easily removable hay or straw remain in our yarn; owner Francis Chester likes to say that if you put Cestari yarn to your ears, you can almost hear the sounds of life within it. That last sentence just says it all. Join Lavanya for an afternoon of knitting and learn everyone's new favorite stitch, 2-color brioche with the addition of seamless modular construction. 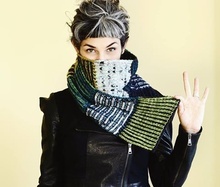 In the 3 hour class you will learn how to knit the versatile 2-color brioche stitch and how to join each panel with a modular technique to get you started on a scarf of your own with the included pattern. Previous brioche knitting experience is not required. Materials needed for class: 2 US7 16" circular needles. 4 or more colors of contrasting worsted and/or aran weight yarn, removable stitch markers are helpful too! 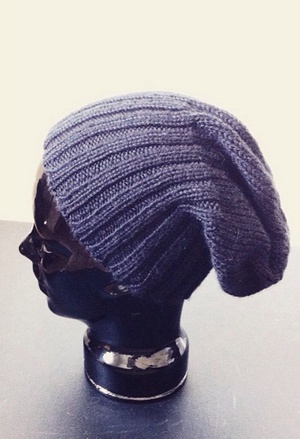 If you've been wanting to make your own hat before fall, this is the class for you! Join Lavanya for an afternoon of knitting and learn how to knit a hat. In the class you will be taught knitting in the round, alternating between knit and purl stitches, how decrease shaping works, and how to read a pattern. This is a great class for beginners and beginners who want to advance their knitting skills. No prior knitting experience necessary. All skill levels welcome. Materials needed for class: 1 ball/hank of Worsted Superwash (or worsted wool), 1 US 6 16" circular needle, 1 stitch marker. 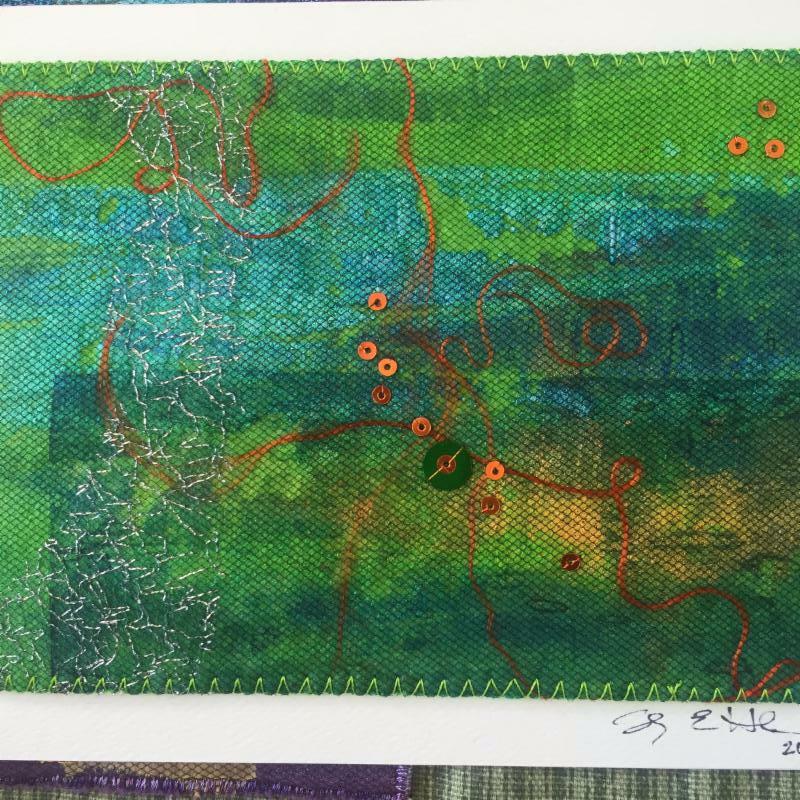 Join Stacy for this workshop where participants will be experimenting with layers of paint and powdered pigments. 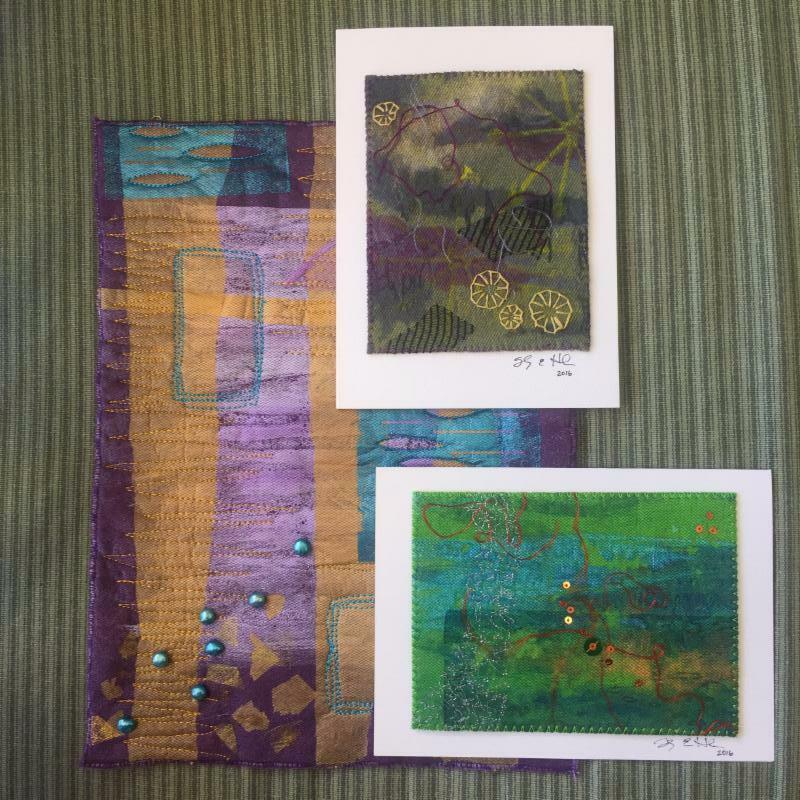 Students will start with a foundation fabric and will embellish with fibers such as banana fiber, bamboo roving, and lace; and top it off with a layer of hand stitching, tulle, sequins, and beads. 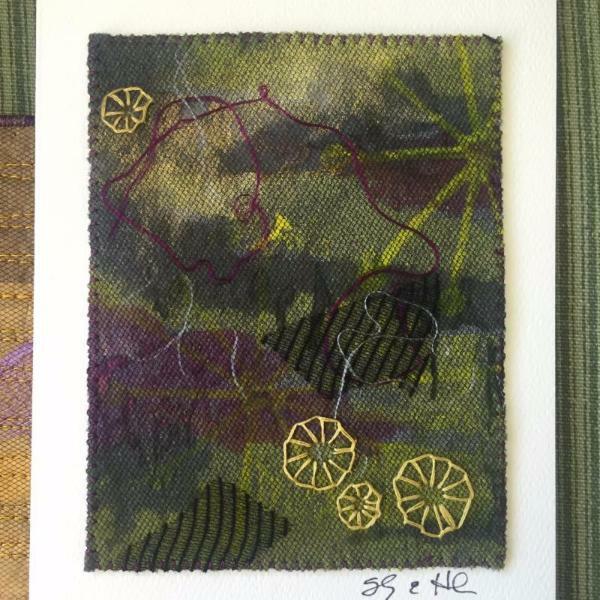 We will mount the collages on fine note cards. No experience necessary! All supplies will be provided. Just bring a paint shirt or apron, scissors, and your imagination. Call the shop to sign up. Weekly Knitting Basics with Jean - New Daytime Class!